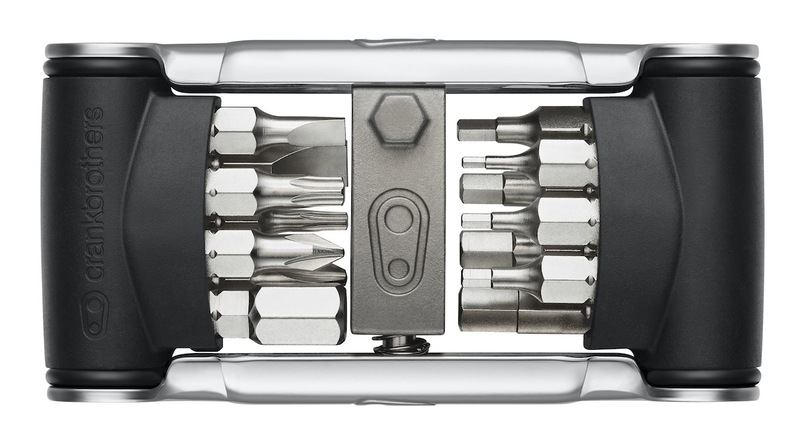 The Crank Brothers B-8 Multi Tool is a bit-based tool system with standard-sized stainless steel bits and stainless steel frame. Magnetized bit socket and locking bit holder keeps bits in place while in use or storage. Includes 1.5, 2, 2.5, 3, 4, 5, 6, 8mm hex wrenches, T10 and T25 Torx wrenches, two Phillips and two flat-head screwdrivers, two spoke wrenches and chain tool.